At Dodson Foundation Repair, we understand how inconvenient foundation issues can be! Whether you are buying a home for the first time or still enjoying the home you have owned for decades, it is important to have a better understanding of what lies beneath. The foundation of your home determines its overall condition. If you neglect any of the signs and symptoms of foundation problems, you will cost yourself a lot more time and money in resolving such issues and restoring the stability of your home. And who needs any extra hassle and headache in their life? We know how important it is to save money and reduce the amount of stress in your life, and that is why we seek to help our customers in exploring the foundations of their respective homes and determining when a presenting problem is merely a natural side effect of settling or a serious problem in need of immediate foundation repair. This is not an area that we expect anyone to already be knowledgeable in. Most homeowners are unaware of the condition of their foundation and the problems that stem from such a condition. We enjoy the process of educating these homeowners by walking them through the specific areas outside and underneath the structure that we look at during inspection, as well as the various changes inside of your home that may or may not be present due to foundation shifting. Because of our great desire to take the best possible care of our customers, we provide a free foundation evaluation to anyone who is requesting a professional opinion of the condition of their home. Maybe you have seen a crack or change within your home that has you concerned. Maybe your real estate agent saw something unusual and recommended a foundation expert to take a closer look. Or maybe you’ve already received a professional evaluation regarding the issue at hand, but you would like a second opinion. Regardless of the circumstances, we would enjoy the privilege of working with you and ensuring that your home is being given the proper attention and care. 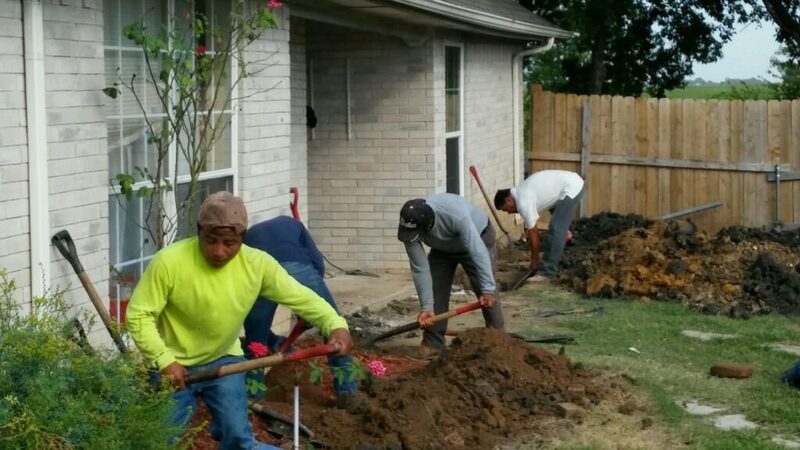 With our 40+ years of experience in working with various soils and foundations of all shapes and sizes, we have developed a wisdom and expertise in this field. This wisdom allows us to waste no time in determining just how mild or severe your home’s foundation issue may be and then proceed to take the next steps without hesitation. We are very familiar with the various weather patterns across the DFW area and how the ground reacts accordingly. Times of flooding and times of drought will affect the earth underneath your home in very different ways, and those changes have to be taken into consideration when understanding how your foundation has reaction to the soil over the years. If you live in or around the DFW metroplex, then we invite you to check out our testimonials and see just how credible our business has become. With our reputation of lifetime service agreements, unlimited transferability, rapid response rates, and honest accountability, why would you want to put your home in the hands of anyone other than Dodson Foundation Repair? Call us today to learn more about scheduling your free evaluation!